Home>Why measure water isotopes and nutrient concentrations? Why measure water isotopes and nutrient concentrations? 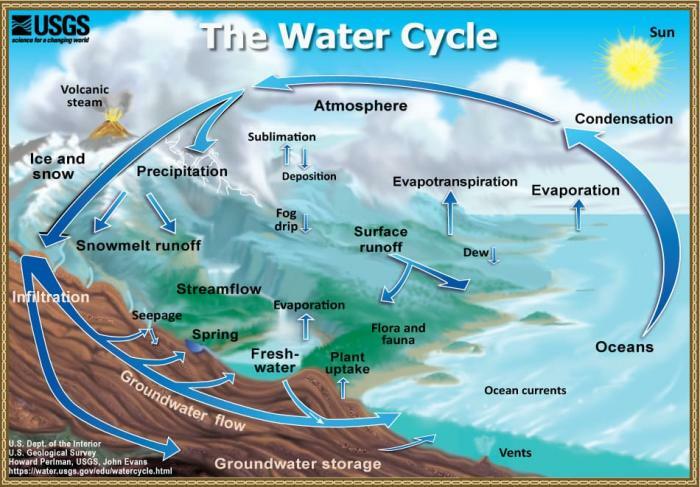 The hydrological cycle is one of the most critical natural phenomena on earth, providing people with much needed fresh water, as well as maintaining healthy and balanced ecosystems both on a local and global scale. In order to properly evaluate a water body, you must first determine the source. Stable isotopic values for water can be used to understand the formation of precipitation — the ultimate source of water. Aquifer, spring and glacial waters all have different chemical values. In moderation, nutrients are important to ecosystem health. Understanding the role, concentration and source of nutrients in the environment can help enhance water quality. By identifying failing infrastructures and sourcing contaminants, these measurements can help keep Best Management Practices in place. In most places your drinking water is just below your feet. An understanding of the source and age of dissolved organic carbon (DOC) and dissolved inorganic carbon (DIC) found naturally in groundwater can give insight into well health and water recharge. Beta Analytic’s water services can help acquire third-party verification for clients, suppliers, manufacturers, or distributors. Take Advantage of Beta Analytic’s Expertise! Results, quality assurance reports are accessible online 24/7 including sample photos. ISO 17025-accredited Beta Analytic provides unlimited technical consultation as well as client support in several languages, including Chinese, French, German, Italian, Japanese, Korean, Portuguese and Spanish. Sampling Instructions Talk to our Technical Expert Note: To get the most accurate results for your samples, it is critical to get in touch with the lab before sampling. The excess growth of algae can be caused by a combination of certain factors including sunlight, slow-moving water and excess nutrients like nitrogen and phosphorus. High levels of nitrate found in agricultural runoff, nitrogen-based fertilizers, animal manure and sewage pose a problem. Understanding the mobility of nitrogen is important, particularly when factoring in the shift in balance that human interference has caused.